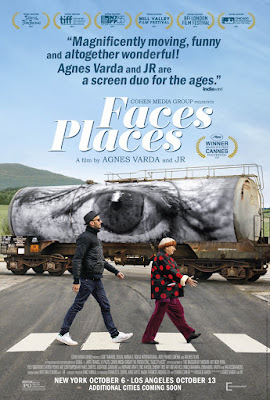 The concept of it was highly entertaining, pairing French New Wave auteur Agnes Varda with modern day artist/photograffeurJR, and essentially having them go on road trips. Interweaved between the main narrative, we learn a little bit more about the both of them. 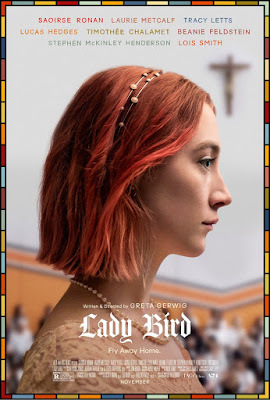 Written and directed by Greta Gerwig, Lady Bird was a sure-handed, touching, and sincere coming-of-age story anchored by strong performances from a luminous and naturally charismatic Saoirse Ronan and an emotionally powerfully yet restrained Laurie Metcalf. The authentically complex mother-daughter (parent-child) relationship portrayed by Metcalf and Ronan was the glue that held the narrative together, and kudos to Gerwig for so aptly capturing that in all its angsty mess. Lady Bird deserved all its nominations and hype, and - with all due respect to Alison Janney - Metcalf has been robbed thus far. 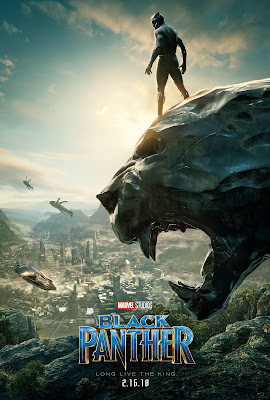 This was such a beautiful film. 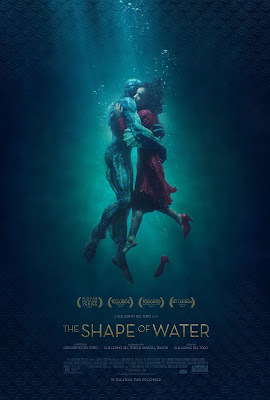 An elegantly directed love story/fairy tale by Guillermo del Toro that was bursting with extraordinary vision and sumptuous details, and lovingly buffeted with a gorgeous score by Alexandre Desplat. Sally Hawkins was simply divine and enchanting in a (mostly) silent role. And Michael Shannon was a truly terrifying villain. This film not only celebrated Love, but was also a beautiful (yes, that word again) homage to the golden age of cinema/films. Del Toro had a vision and he executed it beautifully without sacrificing his aesthetics or storytelling.